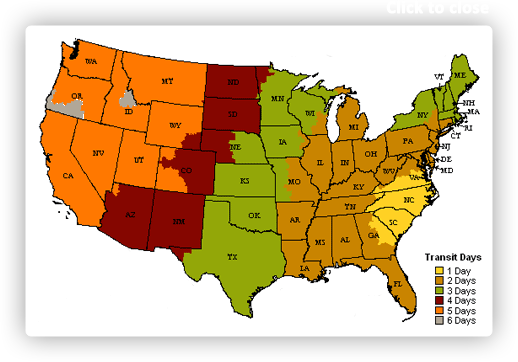 Colors include: Navy Blue, Gray, Light Blue, Light Brown, Olive, Red. The primary colour is Navy Blue. 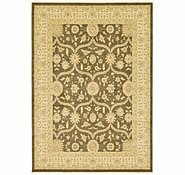 8' x 11' Kensington Rug is rated 4.8 out of 5 by 47. 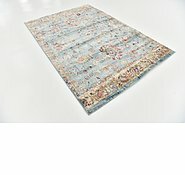 Rated 5 out of 5 by Jaylo from Beautiful rug This carpet has just arrive at my home in remote Western Australia. It's everything I expected and more. 100% true to the picture and extremely comfortable underfoot. I will recomend AURUGS for their quality speed of delivery. I was sent informative emails as to the progress of my order. Fantastic! I was expecting the worst after reading some reviews but I can honestly say all went according to plan. I am an extremely happy customer . Thank you. Rated 5 out of 5 by Rozzy from Beautiful Art nouveau style pattern We bought this rug only a week ago,it arrived quickly and it makes the living room! Our little house is an old 1938 maisonette and it suits the style and era of the home and finishes our eclectic room. It's excellent quality and feels soft and luxurious under foot. We love our rug! 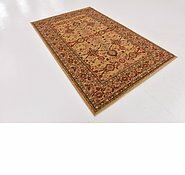 Rated 4 out of 5 by GJB92 from Good fast web site Bought two rugs. Ordered on Monday, arrived Tuesday of the next week, both exactly as advertised. Only niggle is that the link to Fedex that they supply for tracking purposes doesn't work - you get a blank white page with Fedex.com in the address pane. Website is fast and refreshes from page to page v. quickly. Much better than Carpet Call's site which frequently jams. Makes it easy to select from huge range. 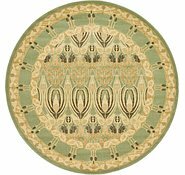 Rated 5 out of 5 by Seabo from Nice rug The rug arrived very quickly and I am happy with the size and design. Pictures are very accurate. Still getting used to it in my room but it's a nice pattern and the colours brighten things up yet are not overwhelming. 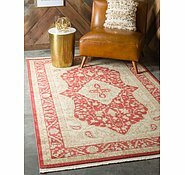 I would definitely purchase from AU rugs again, great selection of rugs and excellent value for money. 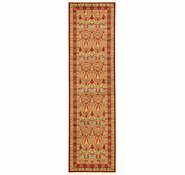 Rated 5 out of 5 by Dan97 from Happy customer Bought 2 rugs in this pattern (different sizes). As per my previous purchase these arrived very promptly and have exceeded my expectations. They will look gorgeous on my newly polished floors. Perusing your excellent website for my next purchase. Rated 4 out of 5 by Sucabe from Kensington Square rug We installed this a week ago and are very happy with it. 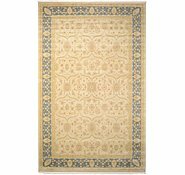 This kind of pattern - Art Nouveau/Arts & Crafts is perfect for our house but very hard to find, so we are delighted with the pattern and range of sizes available. 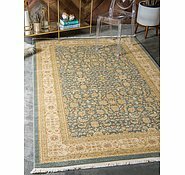 Rated 5 out of 5 by Cazz16 from Great Value I purchased this large rug for our family room and it is perfect, great value for quality, looks as pictured online, very pleased, also arrived very quickly, great communication also. Highly recommend this company. 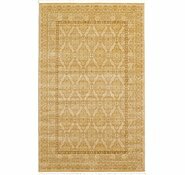 I have been looking at your 215cm x 2015cm black Kensington floor rug. 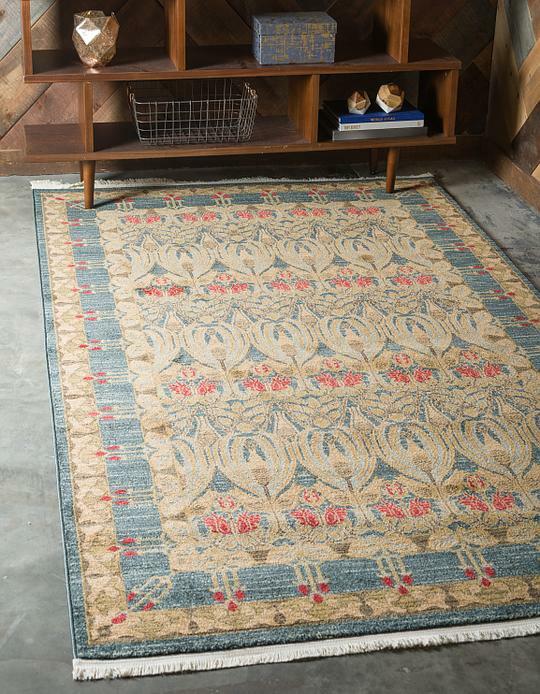 Love this rug......but it has a white fringe at both ends. 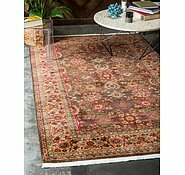 Is it possible to remove this fringe without any damage to rug. 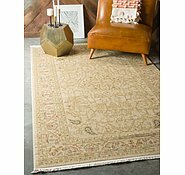 Unfortunately, the fringe cannot be removed with causing damage to the structure of the rug. 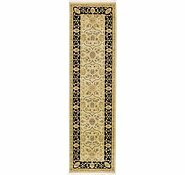 I ordered two runners 79x305 I wish to have them joined as the corrider is longer and two would fit just nice together. 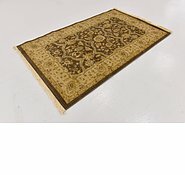 I would like to inform you that we would recommend having a rug specialist join your rugs together. 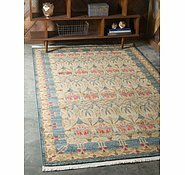 Were is your wool rugs, brought several from you.Dont you make them anymore.IF you want me to recommend your company, bring back wool rugs .? Is it possible that I have the runners joined together as my corridor is quite long or can you order a longer one like 80x700. Thank you for your response.. Yes I just answered this question. 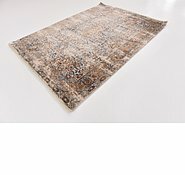 Will this rug need a pad. &nbsp;Does it have fringe on the ends. Delivery Costs? Tax? 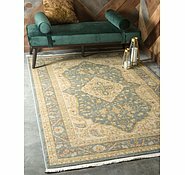 Regarding SKU &nbsp;# 33126341, Kensington Rug how true are the colours in the picture. Also how long would it take to have one sent to Katratha West Australia. 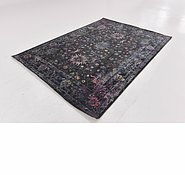 I've read conflicting reports about this web site but really love this rug if the colours are true. This item is a blue colour. This item is more regular blue than navy. The pictures capture the true colors of the rug. Delivery of this item will take 5 to 7 business day to reach your area. Do you have any other design or colour in 500 or 600 length?